Thinking ahead to the 2018 National School Bus Safety Week Poster Contest? 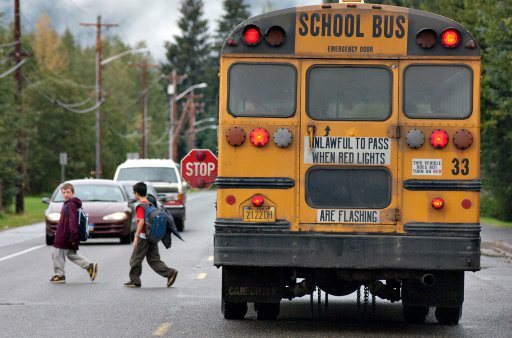 On all undivided highways (without an unpaved median, including 3 lane highways with a center turn lane), traffic in both directions must stop at least 20 feet from a stopped school bus that has its red lights flashing. You must not pass the bus until the lights are turned off or the bus starts moving. On divided highways (with a median you cannot cross), traffic coming toward a school bus stopped on the other side of the median does not have to stop. 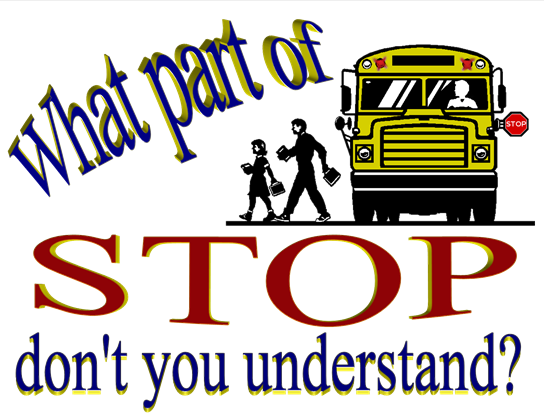 You must also stop for a stopped school bus which is receiving or discharging students on school property or private property. If the bus has amber flashing lights, it means that it is slowing down to make a stop soon and you should proceed with caution as they may turn red very soon.